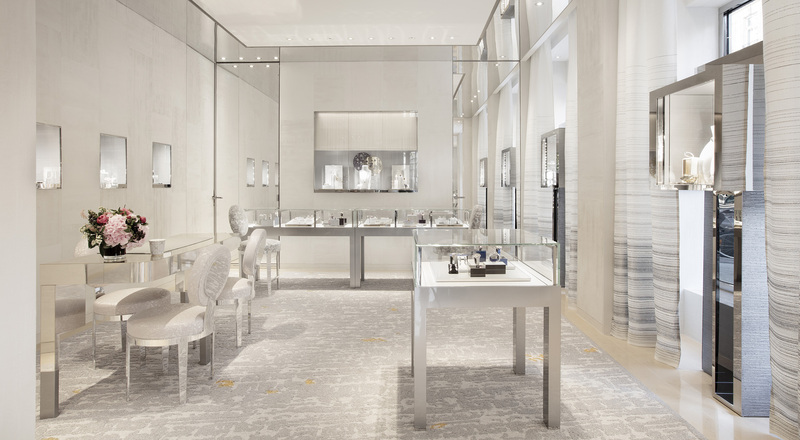 Dior unveiled its brand new fine jewelry and timepieces boutique during the recent Paris Fashion Week. 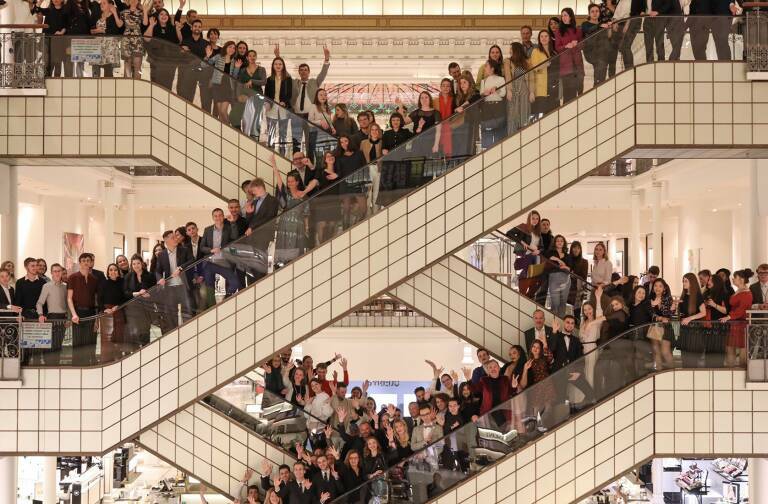 The striking new showcase is located at 34 Avenue Montaigne, just opposite Dior’s historic Paris address. In 1947, Maison Dior opened its first boutique at a now mythic address, 30 Avenue Montaigne. The address is currently home to both Dior ateliers and the iconic women’s fashion boutique. 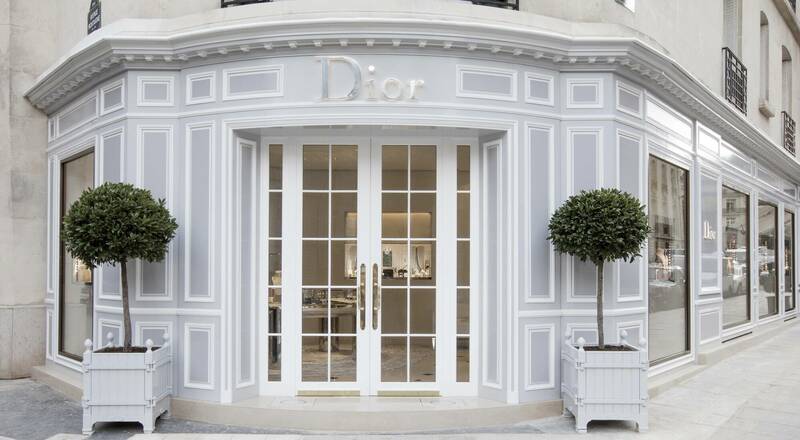 Dior recently opened another boutique dedicated entirely to fine jewelry and timepiece situated opposite the Maison’s historic home, on the other side of Rue François Ier. Designed by architect Peter Marino – who oversaw the renovation of the 30 Avenue Montaigne boutique in 2007 – this stunning new jewel case melds modernity and timeless elegance. Dior’s emblematic grey and pink tones compose an intimate atmosphere. 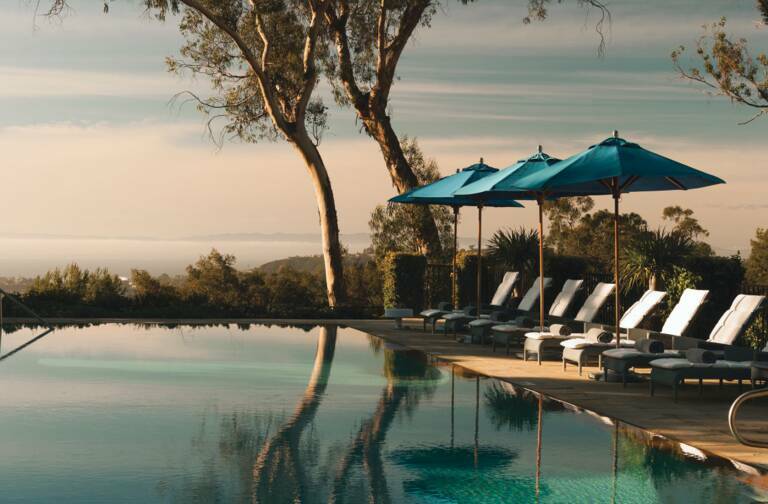 In addition to jewelry and timepiece collections, the boutique offers a VIP salon and features furniture by Vincenzo de Cotiis, as well as artworks by Dana Buckley, Damien Hirst and others. Natural light reflects off the contemporary furnishings, embellishing special edition pieces created exclusively for the opening of the new boutique. 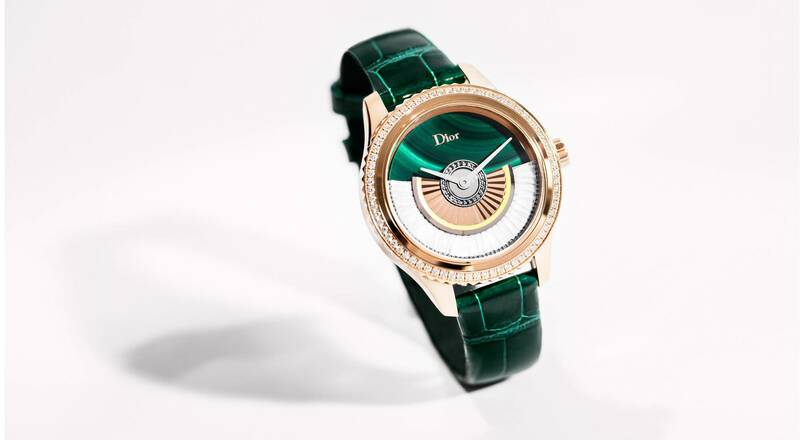 Victoire de Castellane, Creative Director of Dior Joaillerie, has revisited star timepieces including La D de Dior and Dior VIII Grand Bal Coquette graced with delicate green lizard and alligator straps. On the jewelry side, she drew inspiration from the Avenue Montaigne spirit to rethink several pieces in the Archi Dior collection, with each piece named after an iconic line or dress. Five exclusive creations have been added to the collection: the Bar en Corolle ring, along with a necklace, two pairs of earrings and the Milieu du Siècle ring. Precious gems and metals play off one another in these exquisite creations, from white gold and diamonds to emeralds and tsavorite garnets.